We’d love your help. 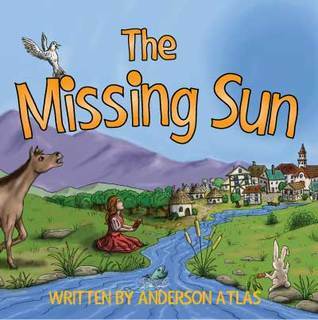 Let us know what’s wrong with this preview of Sun Skips Christmas by Anderson Atlas. One Hot December day the sun mysteriously vanishes. Snow turns to ice and the world freezes over. Smart, little Ellie has a plan to bring back the sun. But can she convince the townsfolk to give up all their Christmas presents so she can save the world? To ask other readers questions about Sun Skips Christmas, please sign up. One very hot December, as the days become longer and hotter, people grow angry and complain. They tell the Sun to go away as it is neither welcome nor wanted. The next day, the Sun does not rise. People cheer that the heat is no longer a problem and that they can finally have a nice, cool Christmas. As the days pass, the Sun continues to stay away. Plants and animals start dying from the cold and lack of food. People gather, trying to find a solution. When a young girl named Ellie suggests the r One very hot December, as the days become longer and hotter, people grow angry and complain. They tell the Sun to go away as it is neither welcome nor wanted. The next day, the Sun does not rise. People cheer that the heat is no longer a problem and that they can finally have a nice, cool Christmas. As the days pass, the Sun continues to stay away. Plants and animals start dying from the cold and lack of food. People gather, trying to find a solution. 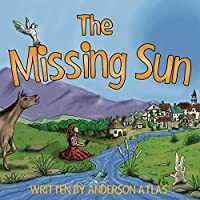 When a young girl named Ellie suggests the re-lighting the sun, she is mocked by some, with others becoming angry at such a silly suggestion. This grows worse when she suggests they build a tall tower, using all of their Christmas presents, so that she can climb the tower and light it. Although Ellie starts the tower alone, using her own gifts, the people start to come with their gifts also, enabling her to climb and reach the Sun. The wind then comes and stops her from completing her mission in bringing warmth back to the Earth. Ellie decides it is time to have a pep talk with the Elemental Guardians in order to restore life to the planet. 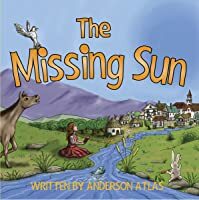 Anderson Atlas has written a very unique and wondrous fairytale – one which I could very much relate to, in that I spent the first 38 years of my life in Australia, where Christmas Days sometimes reached +50 degrees, before moving to Finland where a typical Christmas is -45 degrees, and the Sun does not shine for 60 days in a row. Although there are benefits and drawbacks to having a very hot or very cold Christmas, the most important thing to remember at such a magical time of the year is the people you love – your friends and family – and that presents are not the be all and end all of Christmas. People in this tale not only took the Sun for granted, but also resented it for making the weather too hot at their special time of year. As the animals and plants around them started to die, they eventually had no choice but to heed the advice of a young girl, in the hopes of restoring precious life to Earth. I love how Anderson Atlas has blended the quick shift in climate with the elements, themselves, showing not only the delicate balance in our resources which are needed to survive, but also teaching us that material things mean nothing if we cease to exist. I recommend this book to all readers, young and old, who enjoy fairytales with deep meaning. With a little imagination, determination, a bit of creativity and bravery you can accomplish almost anything. This is what it takes for Ellie to accomplish a feat that no one else in town has any idea how to do. When the sun goes missing for days the town is left in darkness and cold. Ellie has an idea for a fix but everyone just laughs it off or tells her not to try. Still she knows what she has to do and soon everyone joins her. A great story with a lot of lessons. Also includes many great illus With a little imagination, determination, a bit of creativity and bravery you can accomplish almost anything. This is what it takes for Ellie to accomplish a feat that no one else in town has any idea how to do. I live in the hot Sonoran Desert among scaled survivors, steely eye hawks and majestic saguaros. I'm inspired by crowded malls, streams that barely trickle, patches of moss, charred forests, and distant mountain ranges. The clacking of keys can be heard throughout my home late at night and I'm always writing. Scratching of pens, pencils and paintbrushes are also some of my favorite of tools. To dat I live in the hot Sonoran Desert among scaled survivors, steely eye hawks and majestic saguaros.